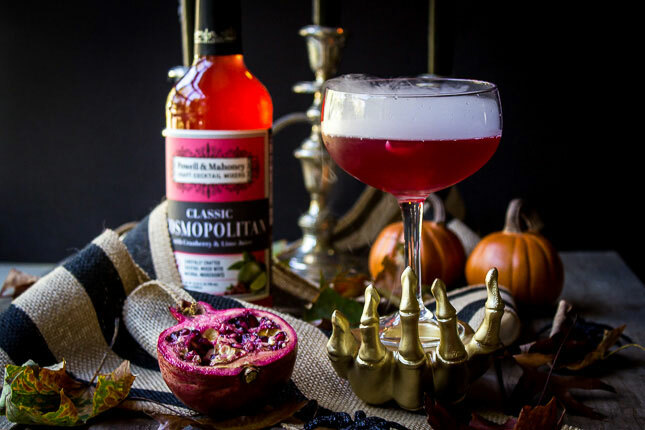 This Halloween Cocktail will have your guests screaming for more! 1. 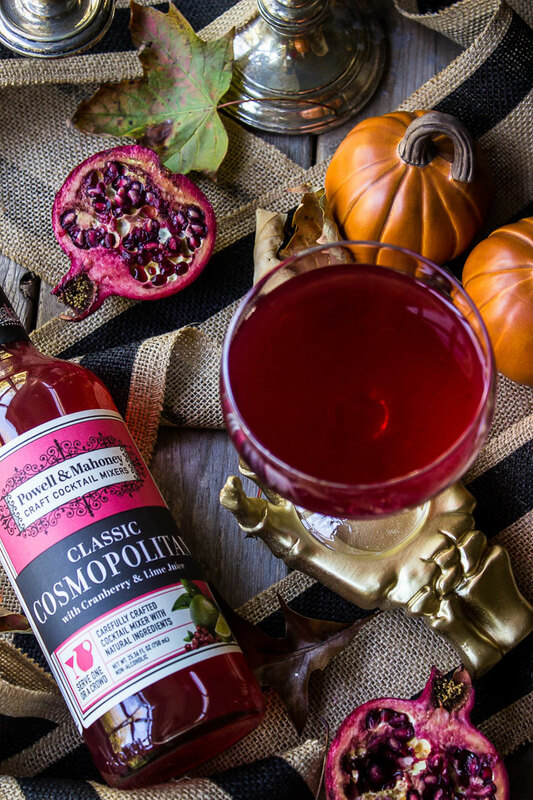 Combine vodka, P&M Cosmopolitan, pomegranate juice, and Cointreau in a shaker with ice. 3. 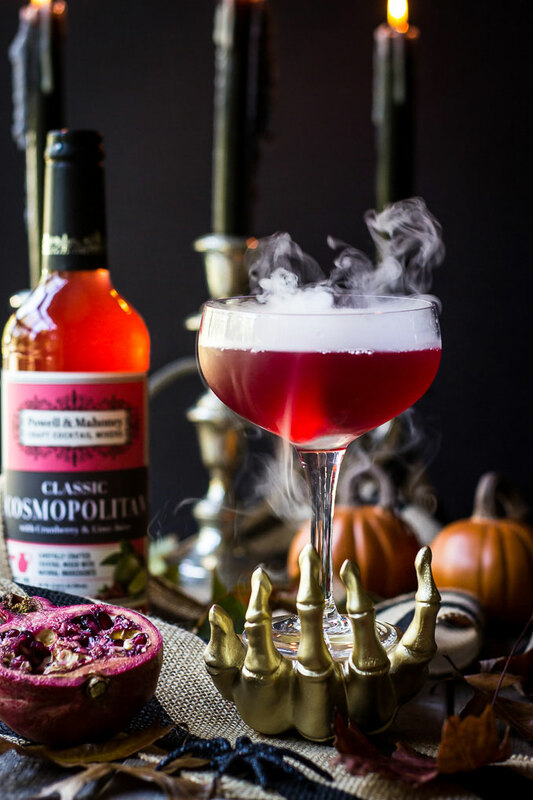 Place one cube of dry ice into the bottom of a coupe glass. 4. Strain shaker contents slowly over chunk of dry ice. 5. 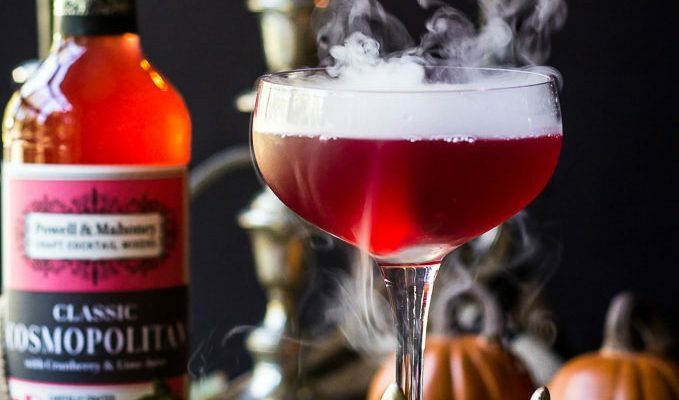 Wait at least 5-10 minutes for the dry ice to dissolve before drinking. See tips on handling dry ice HERE.